On August 1st, Senator Cory Booker introduced legislation—the Marijuana Justice Act—to legalize cannabis at the federal level. 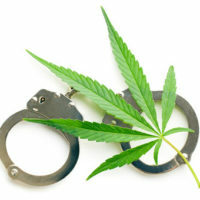 The bill removes cannabis from the list of drugs covered by the Controlled Substances Act, automatically expunges marijuana use and possession, incentivizes states to change their own laws if they’ve had a disproportionate effect on low-income, African-American populations, and allows anyone currently serving time in federal prison for use or possession of marijuana to petition for resentencing. However, the bill may face difficulties in getting passed with Congress controlled by Republicans and Attorney General Jeff Session dead-set on tougher sentencing and punishment for states that have already passed laws legalizing marijuana. Marijuana is still classified as a Schedule I drug, alongside heroin, ecstasy, and LSD. Opioids, on the other hand, are classified as a Schedule II drug. Each year, the Drug Enforcement Administration declines to reschedule marijuana, which many argue should not only no longer be considered a Schedule I drug, but shouldn’t be classified as an illegal drug at all. Meanwhile, states like New Jersey have already been taking their own steps to chip away at criminal penalties associated with possession and use of cannabis: In May, Senator Scutari introduced a bill to legalize its recreational use, citing the costly fees and restrictive measures associated with the state currently having to distinguish between the medical and recreational use of cannabis. Recreational use of cannabis is already legal in eight states and the District of Columbia. Politically, the measure may also have a future in New Jersey: The gubernatorial front-runner and Lt. Gov. both support legalization and decriminalization. Until then, in New Jersey, the penalty for possession of 50 grams or less is six months in jail and a fine. In 2013, New Jersey police made close to 25,000 arrests for possession of small amounts of marijuana; the highest in two decades. In spite of how common its use is and the number of voters that have expressed a desire to legalize its use, unfortunately, being caught using or possessing cannabis can still have some serious consequences for your record and your life. If you have been accused of a drug-related crime, you should speak with an experienced criminal defense attorney as soon as possible. Phillip J. Murphy has been representing clients accused of crimes throughout New Jersey and New York for more than 25 years. Contact our office today for a free consultation to find out how we can help.